If you love tracking your steps, counting your calories, or measuring your activity levels with your fitness tracker, you may want to listen up. Budget retailer Lidl have announced the exciting news that they are launching a brand new activity tracker – for a fraction of the cost of many already on the market. So what will the Lidl fitness tracker do? The brand revealed that their new tracker will do almost everything that others do – including step counting, measuring your distance covered, seeing how many calories you’ve burned, tracking your sleep duration, and your activity duration. Lidl’s new tracker also connects to a free app via Bluetooth – to help keep a track of your fitness levels. It also gives you smartphone notifications for incoming texts and calls, and has a handy alarm function if you don’t fancy using your phone. Handily, the bracelet is also water-resistant, meaning you can even use it in the pool or the sea. It also has a small display screen – just like the Fitbit. How much does the Lidl fitness tracker cost? Best of all, the tracker is available for just £24.99 – an absolute steal compared to other similar products. 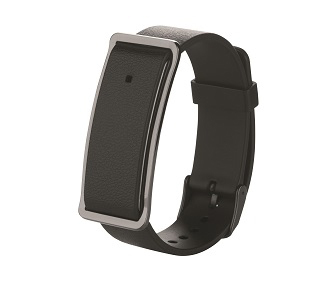 For example, Fitbit’s famous tracker ranges in price from £50 to around £200. Lidl’s version is a huge £75 cheaper than one of their most popular, £99 models. Samsung’s also sells one for £129, while a version from Garmin could cost you up to £60. Lidl’s activity tracker is available in a range of colours too – buy it in purple, black or pink. However, it’s not clear just how long the battery on Lidl’s fitness tracker lasts, whereas most others are designed to go for up to five days without being charged. The tracker is available to buy from today (Thursday 2nd August), but it’s not on sale online, so if you want one, you’ll need to head to your local store.